A problem solving pumped electric shower specifically for areas with low mains water pressure. 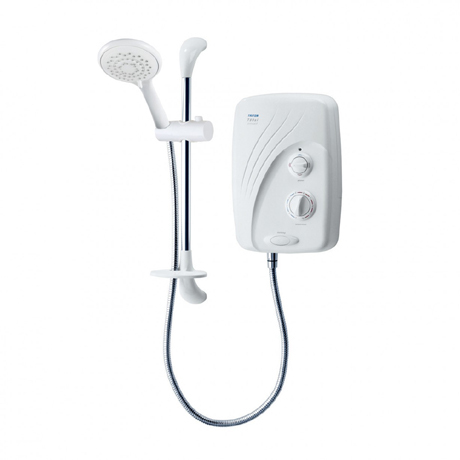 Styled on the best selling T80si; the Triton T80si Pumped is a tank-fed integral pumped electric shower designed for installations where the pressure of the mains water supply is too low, unreliable or non-existent. It can therefore be used in locations unsuitable for normal electric showers. This remarkable problem-solving shower is fed from your cold water tank which can be as little as 8cm above the unit. Exactly the same features and benefits are also available on the alternatively styled T90si.